If your store is selling physical items that need to be delivered to customers through the post or via a courier, you will need to enable the AbanteCart shipping module. AbanteCart supports a wide range of shipping modules, allowing you to integrate services from leading shippers. FedEx, UPS, Royal Mail and USPS are included, while Canada Post and Purolator can be integrated as AbanteCart Marketplace Extensions. For full details of the services available, head to AbanteCart Docs. To enable a shipping provider, visit Extensions > Shipping in the AbanteCart admin dashboard. A list of available extensions are displayed. Use the Play button to enable a shipping service. Once installed, the module configuration page will open. Work through the settings, selecting the relevant options for your store. Some modules may have multiple pages to complete – look for the navigation tabs above the list of settings. Once you have completed configuration, click Save to continue. 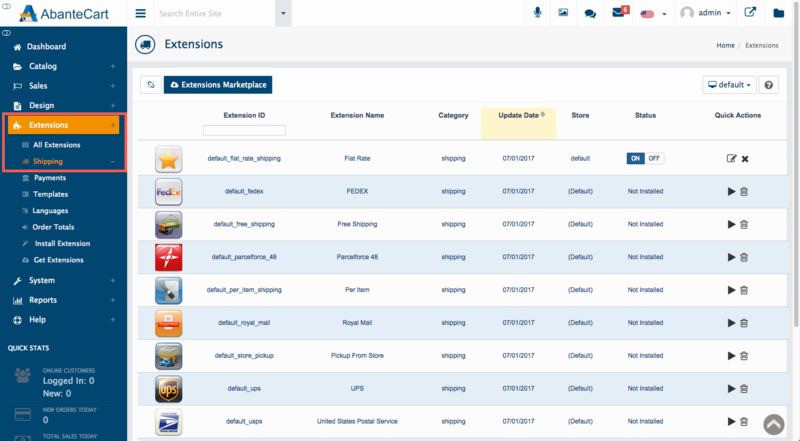 Use the Extensions Marketplace button to search for additional shipping modules supplied by third-party developers. Once purchased, these modules can be downloaded and installed like any other AbanteCart extensions. 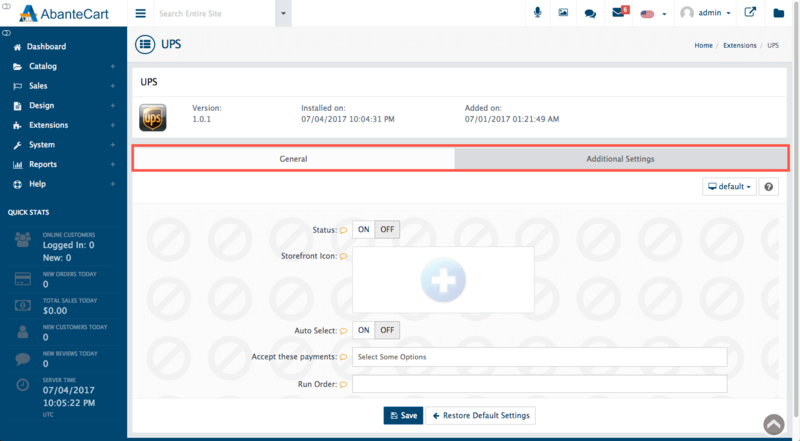 To find out more about downloading and installing AbanteCart extensions, head to this HostPapa knowledge base article: How to install an AbanteCart extension.